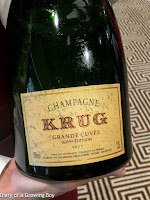 I was privileged to have been invited to the launch of a few cuvées from the house of Krug. These bottlings all have their origins in the year 2004, so it makes sense that they were showcased side-by-side in the same tasting. 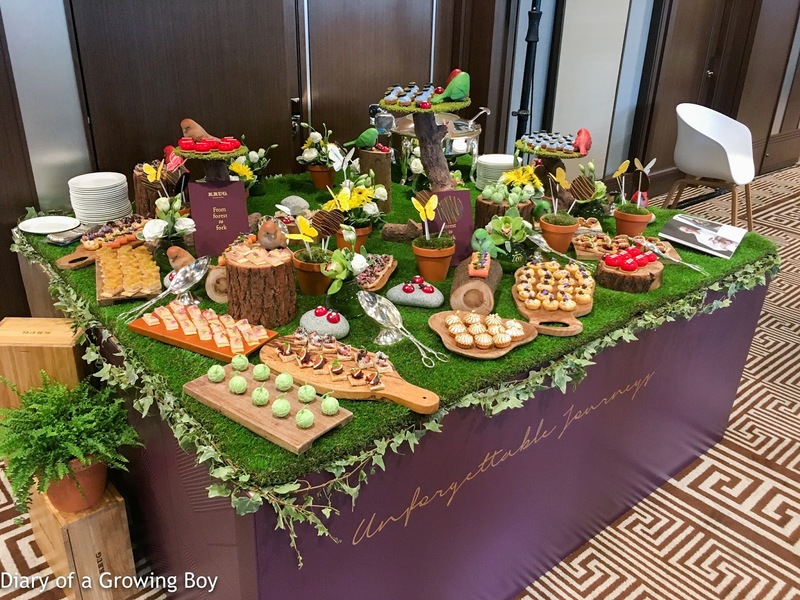 The function room at the Mandarin Oriental Hong Kong was set up to handle a couple of different sessions, and the first thing I noticed was this spread of nibbles... Bite-size canapés which were both savory and sweet - and pretty to look at, too. 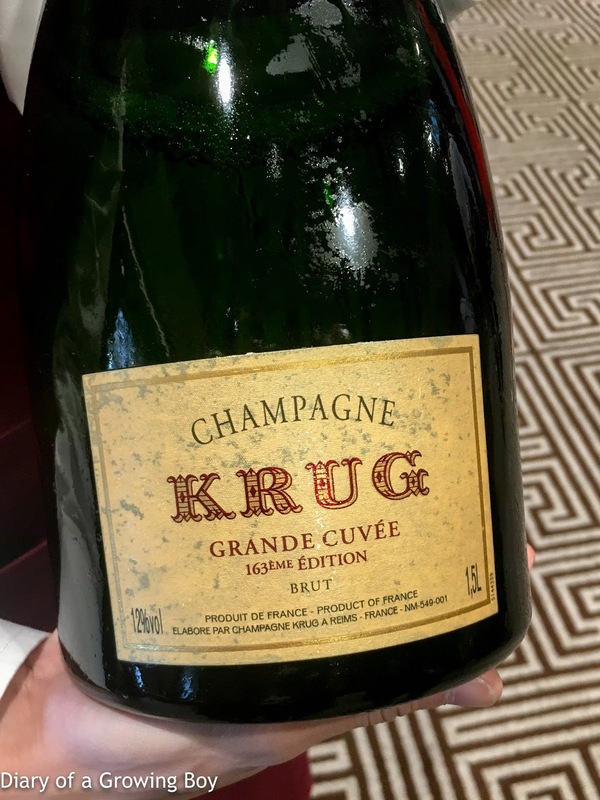 Krug Grande Cuvée, 163éme édition, en magnum, ID 215032 - just drinking beautifully, with mature, toasty notes, nice and caramelized in glass, with good acidity. 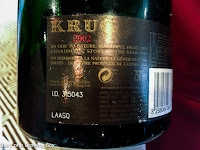 It's been a few years since I was last in the same room as Margareth Henriquez, who is the President and CEO of Krug, as I have been absent from these events. Naturally she was here to introduce the wines, and to tell us about the music pairings - something which started in Hong Kong a few years ago with a special event. 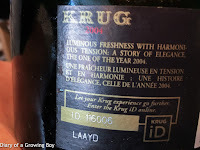 2004 Krug, ID 116006 - chardonnay delivered the best wines, followed by pinot meunier. 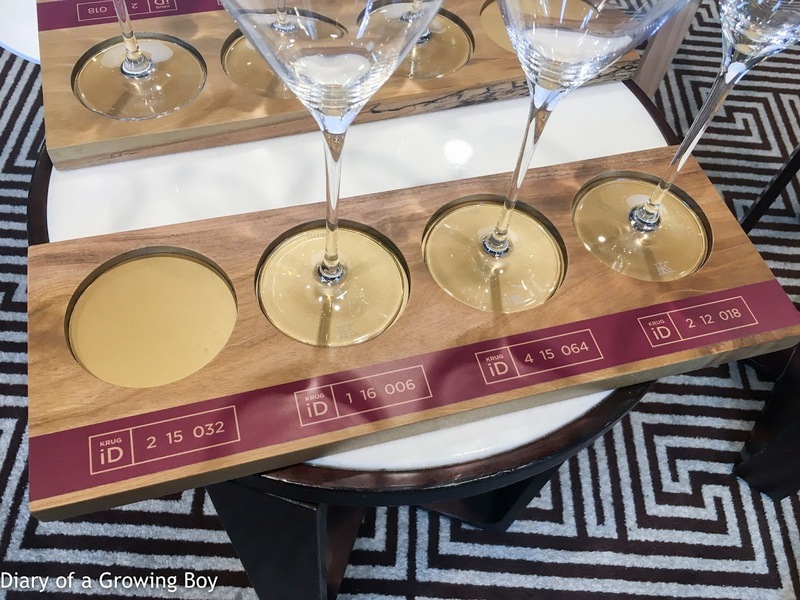 It's the third-ever vintage where chardonnay dominates the blend. Nose was more toasty, and slightly more caramelized than expected. 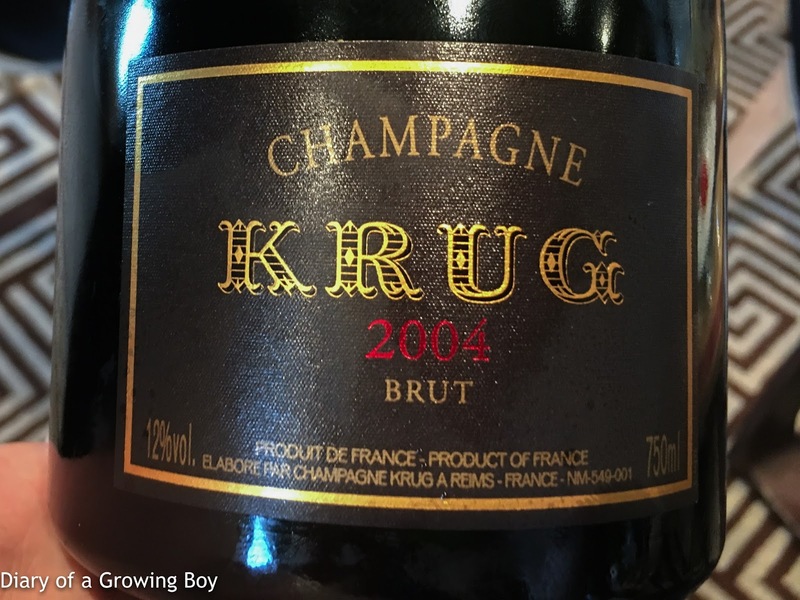 More depth on the palate, with high acidity and some savory minerality which developed further after sitting in glass for a while. 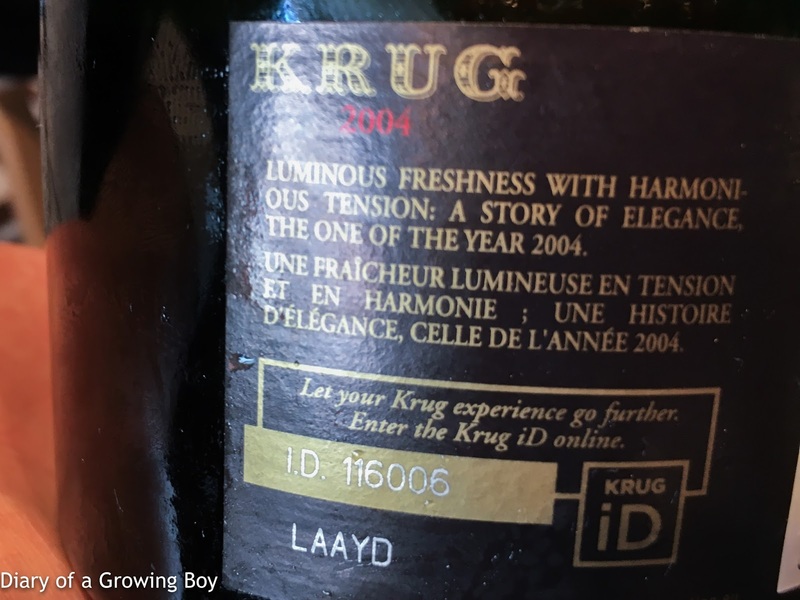 With the 2004 vintage, Krug has suggested two pieces of music to go with the Champagne. One of them is Lianne La Havas' Unstoppable. 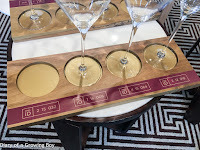 We were asked to sip on the bubbly while the music played, and try to see if we could notice any difference in how the wine tasted. 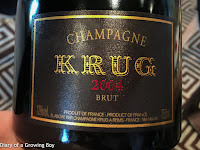 With the music on, the 2004 Krug seemingly showing more depth, as the meunier showed. Or maybe it was simply because the wine had more aeration in glass. 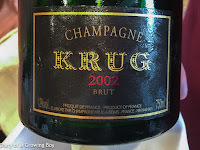 2002 Krug, ID 315043 - more rounded on the palate, lighter with less acidity. Lovely and more elegant, beautiful. 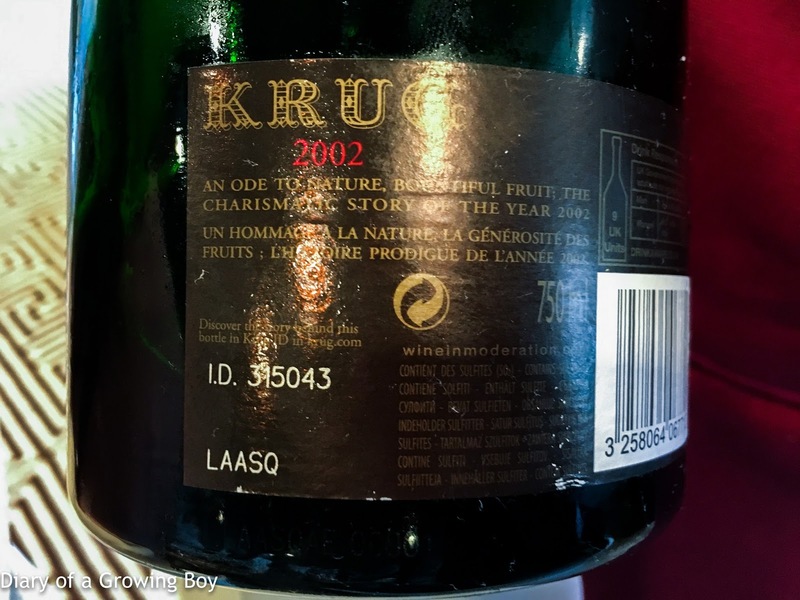 It's easier to drink compared to the 2004. 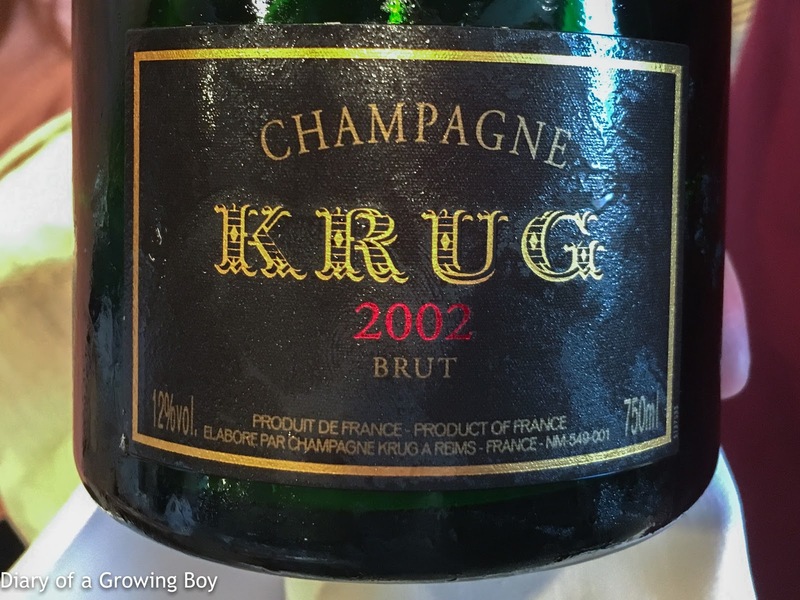 The sommelier at Les Crayères in Reims selected this piece to pair with the 2002 vintage. 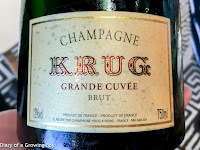 Finally, we were treated to the 160éme edition of the Grande Cuvée - also created in 2004. 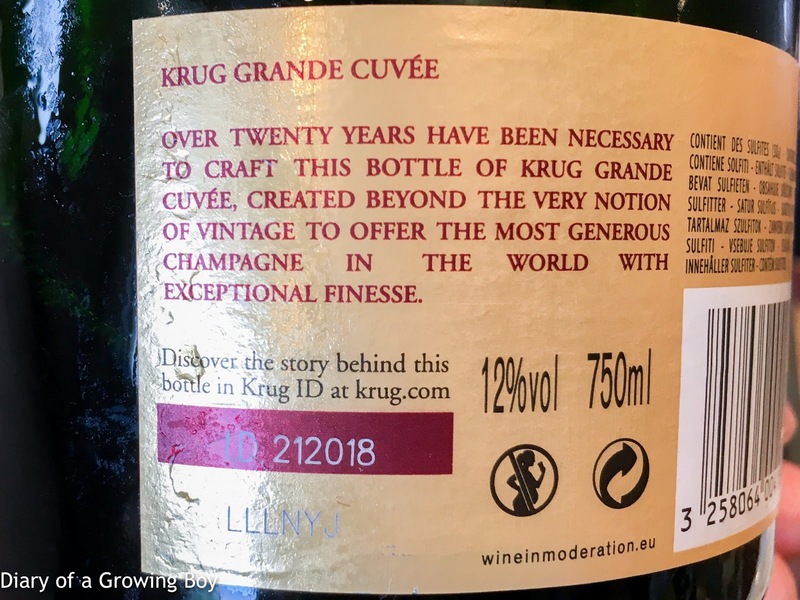 Krug Grande Cuvée, 160éme édition, ID 212018 - WOW! This was MUCH better! 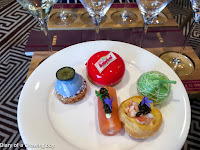 More rounded on the palate. Very toasty, almost coffee notes, and almost some floral. Soooo beautiful. 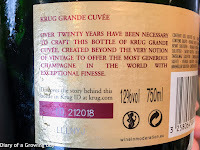 This edition was built around the poor 2001 vintage, which meant lots of reserve wines went into the blend, including as far back as 1990. 44% pinot noir, 33% chardonnay, and 23% pinot meunier. Definitely my favorite glass today. For the music pairing, they once again went with Lianne La Havas and her Green and Gold. A wonderful tasting today. Very grateful for the kind invitation. 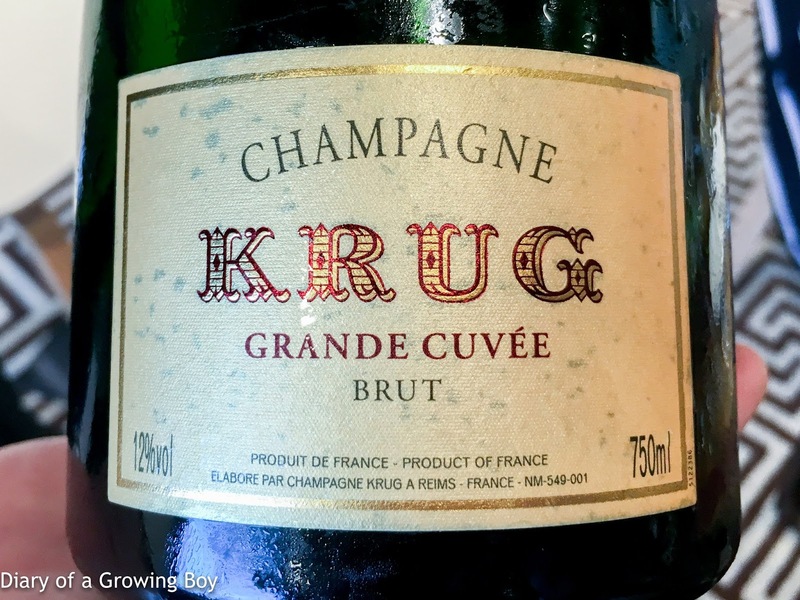 Now I need to get my hands on some Grande Cuvée 160éme. STAT.